Who Is Alma Versano, The Beautiful Gal Gadot’s Daughter? 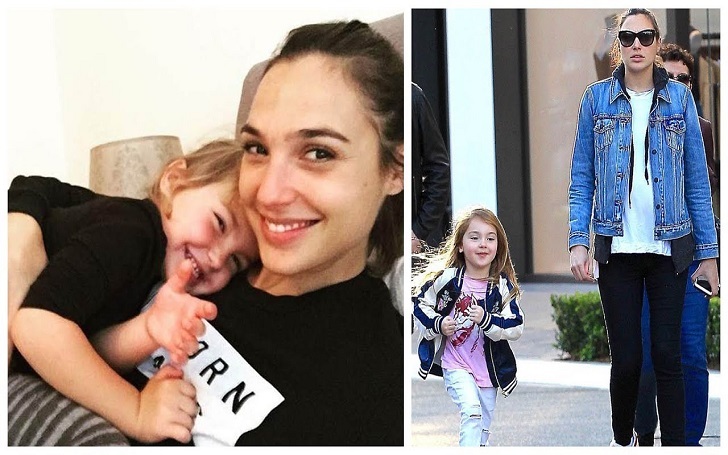 Home Celebrities Who Is Alma Versano, The Beautiful Gal Gadot’s Daughter? Being the child of a renowned celebrity can be overwhelming. One automatically becomes famous without the question of whether or not the person is ready to live that kind of life. The attention from the media and all the paparazzi keep going on and on and it is quite exhausting. Alma Versano is one person who has lived as such ever since her arrival into the world as the daughter of a top-notch actress, Gal Gadot. 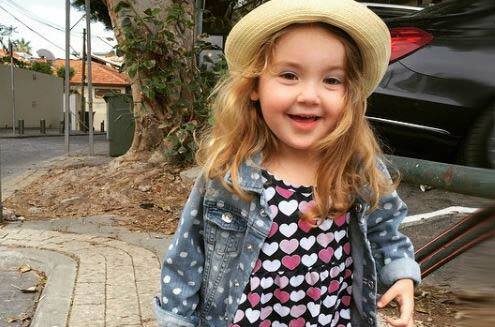 Alma Versano is the cute daughter of Wonder Woman star, Gal Gadot and a real estate agent, Yaron Versano. Her parents are Israelis but she was born in the United States, which makes her an American-born Israeli. Alma is in her second grade in school and she has a kid sister named Maya Versano. Her baby sister was born on March 21, 2017. Gal Gadot was pregnant with Maya during the shoot of the superhero movie Wonder Woman, which she starred in as the primary character. Few months after the film was done, Maya was born. Alma still has a long way to go before deciding on which career path to follow, but her mum was quick to tip her for becoming the future Wonder Woman. If she will go into acting like her mother and also play the role of the heroine is definitely not a question to be answered today, but maybe in a decade or two from now. As for now, she is focusing on school and how to manage the attention her famous parents brought upon her. Gal Gadot is an actress, a model, and former Israeli beauty queen. She was born on April 30, 1985, in Petah, Tikva, Israel, to an engineer father and a mom who was into teaching. Gal grew up in Rosh HaAyin, Israel, and was raised as a Jew. She took biology as her major in high school and then went on to study law and international relations at IDC Herzliya, a private college in Herzliya, Israel. While in college, she shaped her career in acting as well as in modeling. Gal later emerged as the winner of the 2004 edition of Miss Israel. She was 18 years when she was crowned as Israel’s beauty queen. In the same year she conquered Israel’s beauty pageant, she represented the country in the 2004 Miss Universe. After she graduated from college, she embarked on an obligatory two years service in the Israel military. Gadot made her screen debut in 2007 when she was cast as Miriam Merry Elkayam in Israel’s TV show, Bubot. A few months after she made her screen debut, the casting director who rejected to feature her in the James Bond series, then called her up to cast as Gisele Yashar in Fast & Furious 4. Starring beside the late Paul Walker and Vin Diesel further exposed her to the industry. She reprised her role as Gisele Yashar in the film’s sequential series: Fast Five (2011), Fast and Furious 6 (2013) and Furious 7 (2015). Her biggest role so far has been as Princess Diana, Wonder Woman. She played the role in Batman Vs Superman: Dawn of Justice (2016), WonderWoman (2017) and in Justice League (2017). She will reprise the superhero character in Wonder Woman 1984, which is set to be released in 2020. Gal also featured in Keeping up with the Joneses as Natalie Jones, in Knight and Day as Naomi, and also voiced Shank in Ralph Breaks the Internet. She made a music video appearance in Girls Like You by Maroon 5. The star actress has a net worth of $10 million, she married her husband, Yaron Versano on September 28, 2008, and the couple has two lovely daughters together, our cynosure Alma Versano and Maya Versano. Yaron Versano is a businessman and a real estate developer. He was born on June 28, 1975, in Amsterdam, Netherlands. Although he was born in the Netherlands, his parents are both Israelis, which make him a Dutch-born Israeli. He is the husband of the Wonder Woman actress and like his wife, he was raised in a Jewish home. Yaron and his wife used to own and operate a hotel in Tel Aviv until they sold it to Russian billionaire and Chelsea Football Club owner Roman Abramovich for $26 million in 2015.